The Bechdel test measures whether a movie treats its female characters as fully developed ones, or just as props for men. For a movie to pass, it has to accomplish three things: (1) have at least two women in it, who (2) who talk to each other, about (3) something besides a man. It’s a pretty low bar to clear, but somehow fewer than half of 2015’s movies cleared it. 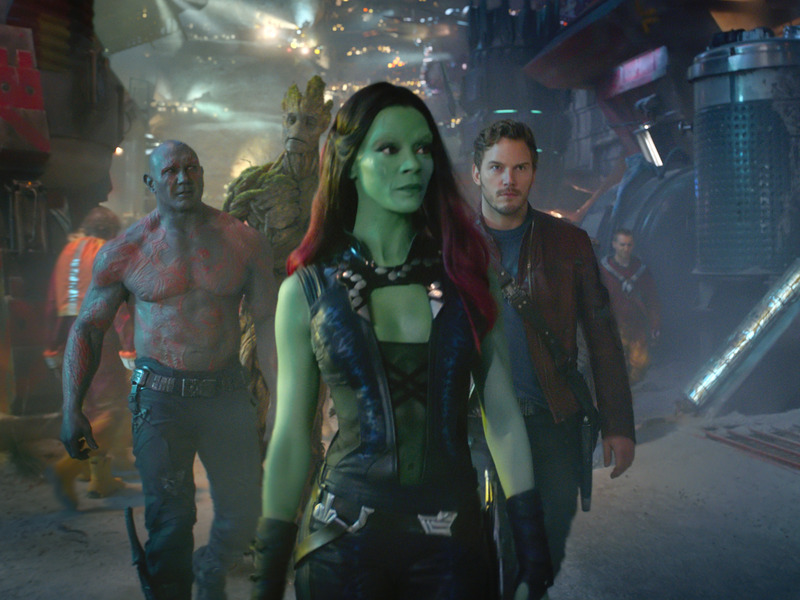 Gunn intends to address pervasive Hollywood sexism in “Guardians of the Galaxy Vol. 2” by making his female characters — Gamora, Nebula, and Mantis — not only “strong,” but well-developed. “Women all over the world have been pushed to the sidelines in the interests of men, and their personhood is often forgotten or delegitimized,” Gunn wrote in a Facebook post. Gunn wants to write movies where women’s stories and men’s stories don’t come at the expense of each other, but are instead “interwoven in a way to strengthen and optimise all of them.” The first “Guardians of the Galaxy” movie also distinguished itself by being the first Marvel movie with a female writer, Nicole Perlman. Marvel has a patchy record when it comes to passing the Bechdel Test, but the studio is improving. “Avengers: Age of Ultron,” “Guardians of the Galaxy,” the two “Thor” movies, and the “Captain America” and “Iron Man” sequels all pass it. The first “Iron Man” movie, “Captain America,” “Ant-Man,” “The Avengers,” and “The Incredible Hulk” do not. “Guardians of the Galaxy Vol. 2” will be in theatres May 5, 2017.